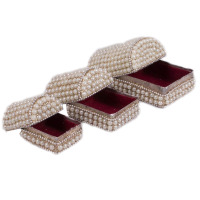 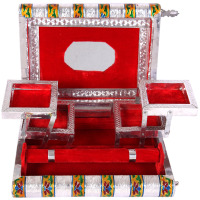 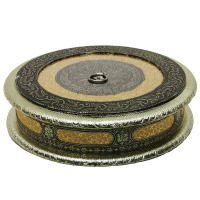 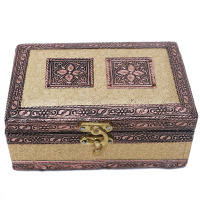 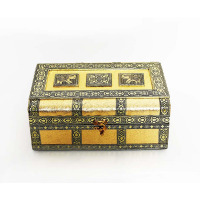 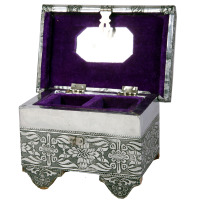 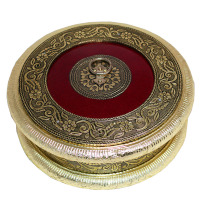 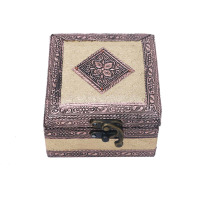 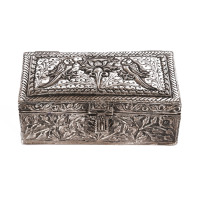 You cannot afford missing the Metal & Pearl Jewellery Box for any known or unknown reason. 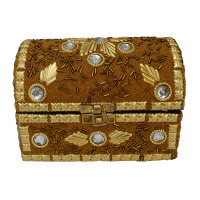 You must be very careful about getting it from the authorized stores only. 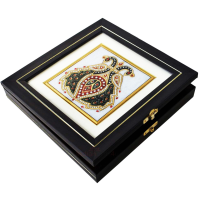 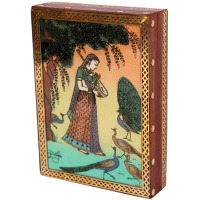 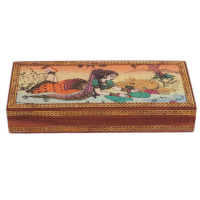 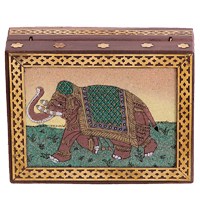 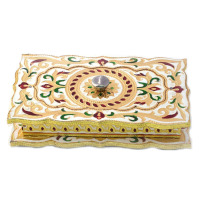 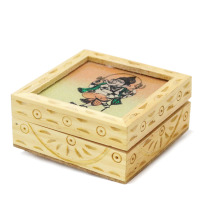 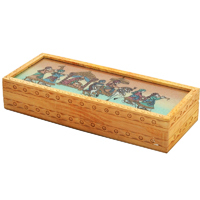 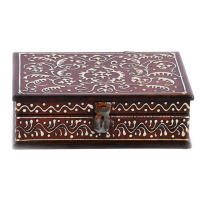 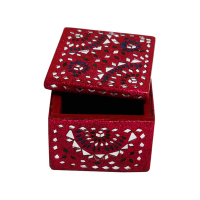 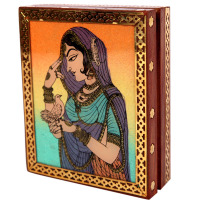 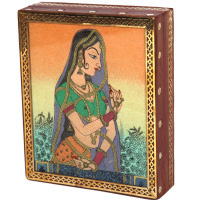 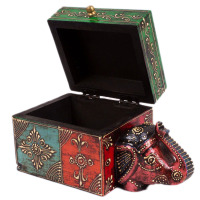 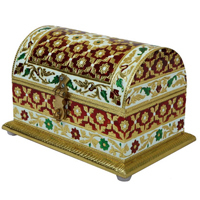 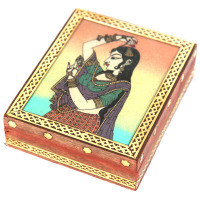 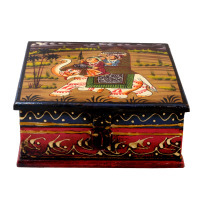 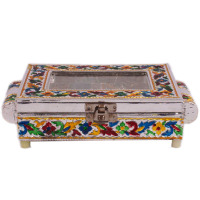 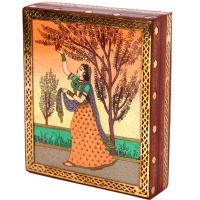 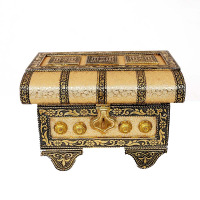 The entire design of this Multicolor Wooden Dry Fruit Box With Meenakari Work can add a glamorous look to your home by giving it the most attractive look. 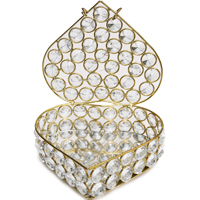 The killer combination of silver & golden simply reflects the exuberance of elegance. 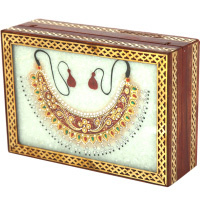 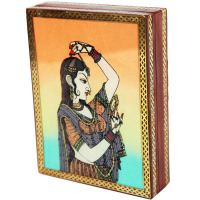 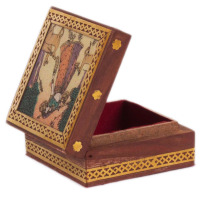 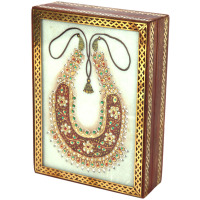 Choose this box to keep you jewelries or valuable belongings. 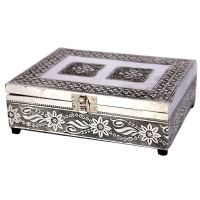 You can also think it as an option of gifting someone special whom you love. 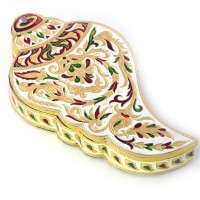 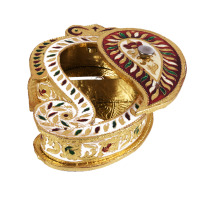 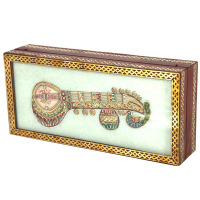 Meenakari designed dryfruit box in the shape of a conch to fascinate your guests.